1 Million Trees in 1 Day is a charity, not-for-profit, cross-border, community and environmental initiative which aims to plant a million young native trees at many different sites across both the Republic of Ireland and Northern Ireland in 24 hours. We work to establish individual trees and woodlands in both rural and urban areas that will grow for many years and which provide valuable resources, beneficial ecosystem services and a lasting legacy for future generations. During the pilot phase (2013 to 2015) they have planted over 400,000 native trees in Ireland and Northern Ireland. They have trialled the project in detail and have trees planted at over 1,000 different sites across the 32 counties, including our project here in Swinford. We had only recently heard about this project, so we had to act very fast to get our order in. We identified some sites which might be suitable for planting. We put out the call to the local community looking for some more suitable sites for planting. When all the sites were identified we then drew up a detailed plan for each site, which trees would be most suitable for each site. 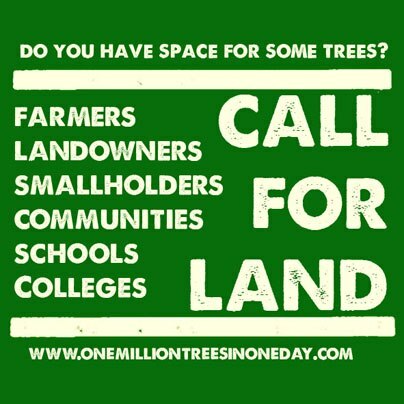 The 1 Million Trees in 1 Day project confirmed the dates when this project will take place. The planting of the trees was to take place on Friday 22nd of March and Saturday 23rd of March 2013. Swinford Tidy Towns Committee put in an application in 2012 and our project was approved in November 2012. We put out the call looking for volunteers & a spade for an hour or two for the day of the planting. We think this is a brilliant idea and something that will benefit our Children & Grandchildren for years to come. You can view the history of the project along with a map of all the sites of all the groups taking part in this unique project all over the Country on the One Million Trees website. The one million trees in one day project which was to take place on Friday and Saturday unfortunately had to be postponed. Due to a lack of funding the project could not be completed in full. 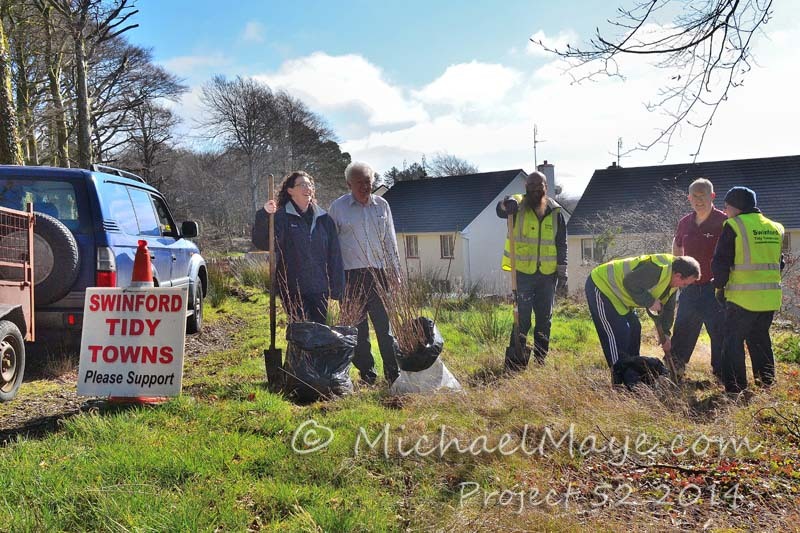 Swinford Tidy Towns had a large number of trees of various varieties on order from the charity, which were being supplied to us completely free. One million trees in one day have assured us that we would receive our full allocation of trees which we ordered, once the funding was fully in place. Due to the timing constraints of planting trees, it would now have been October/November at the earliest that the planting will now take place, should the project become fully funded. Well… What an incredible few days. So many wonderful moments and people and such good will. Some very tricky moments and mistakes and problems as well. Thank you to everyone who has taken part and to everyone who has helped and given their time and energy to the project. We will be updating all schools, colleges, community groups, farmers and landowners tomorrow and then our team is going to re-group and work through tree numbers and details and start to fix up the gaps and work forwards towards an ongoing plan to get the rest of the million trees into the ground. We will send out full updates later in the week to everyone with further details. A lot of trees got planted this weekend, we’ll do a full count tomorrow. Thank you again to everyone. The One Million Trees in One Day team. Due to the lack of funding after 3 major funders backed out, the project had to be scaled back. To accommodate everybody that applied to the project for trees, each group got a smaller allocation starter pack to begin with. In October 2013 we received a starter pack of trees. The starter pack that we received from one million trees in one day was slightly different from the huge variety of trees that we had originally applied for. Thanks to Anita and Miriam for all their hard work finding the most suitable locations for the varieties of trees that we did receive. 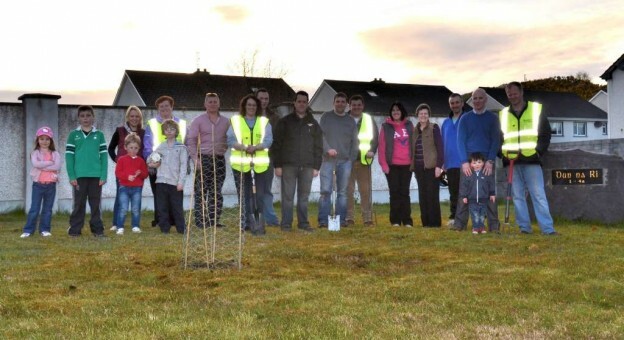 Thanks to all the volunteers that came out to help Swinford Tidy Towns on the Wednesday evening to start the planting. Thanks to the residents of Rathunas, Dun Na Rí and Druids Court that came out and helped on the evening planting the trees. One million trees in one day had assured us that they will continue with the project and all the trees applications received would be honoured in full. Our original 1 million trees in 1 day application was for approximately 1,750 different varieties of trees. However our revised allocation of trees only numbered 200 due to the lack of funding. The trees we got were a mix of birch, alder, mountain ash, Scot’s pine and whitethorn, where they tried to observe our original application requests where they could. Hopefully this project will continue in the future and we will apply again for more trees for planting around Swinford.